The use of unmanned drones by the U.S. to attack civilian population with Hellfire missiles is a form of state terrorism. It is designed not to assassinate individuals (extrajudicial killing), but to instil fear and terrorise the entire population. We all know the U.S.-led war on Afghanistan is an illegal act of aggression, and there are no legal or legitimate grounds to justify the ongoing aggression. According to countless international law experts, the war on Afghanistan is an unlawful act of aggression. It “violates[s] international law and the express words of the United Nations Charter”. Article 51 only “gives a state the right to repel an attack that is ongoing or imminent as a temporary measure until the UN Security Council can take steps necessary for international peace and security”, he added. . 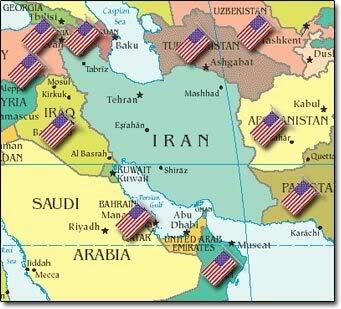 Indeed, all current U.S.-led wars on Muslim nations are acts of illegal aggression against sovereign nations. The use of armed drones, also known as pilotless planes or unmanned aerial vehicles (UAVs), to attack defenceless people and assassinate individuals is criminal. According to a new report by The Fellowship for Reconciliation, “Armed drones have been used by the U.S. military in Afghanistan (since 2001), Iraq (since 2002), and Yemen (since 2002), by the CIA in Pakistan (since 2004), by the UK military in Afghanistan (since 2007) and by Israel in Gaza (since 2008). It is estimated that drones are being used or developed by over forty countries”. The majority of armed drones are produced and used by the U.S. and Israel, the inventors of terrorism. . While Afghanistan and Pakistan bear the brunt of U.S. violence, U.S. drone attacks have also taken place in Yemen, Libya, Iraq and Somalia. In all cases, the violent attacks are illegal and in flagrant violation of international law. Terrorism is the illegitimate use of violent aggression against innocent people to achieve political objectives. With complete media complicity, drone terrorism is shrouded in secrecy and is leading to “boundless war without end”. In its decade-long war on Afghanistan and now Pakistan, the U.S. has amassed the largest and most technologically advanced war machine in history against an entirely defenceless population. More than forty countries are participating in the bloodbath, although many of them are there just by name. Recent U.S. media reports reveal that the U.S. has established a new drone base in the Arabian Peninsula, possibly in Qatar or Bahrain, where the U.S. has large military bases. Moreover, the U.S. has just hastily completed a “secret” drone base in Yemen. The locations will provide safe routes for U.S. drones to attack targets in Afghanistan, Pakistan, Yemen, Iraq, Libya, and soon Iran. In addition to using drones for surveillance and intelligence purposes, increasingly the U.S. military and the C.I.A. are using drones controlled via satellite communication to launch missiles and bombs on population centres indiscriminately, often at distances of many thousands of miles. The outcomes of these terror strikes are countless massacres of innocent civilians. These atrocities are ignored by the capitalist media and major Western “humanitarian” organisations that provide a formidable cover-up for U.S. crimes. On July 06, 2011, a U.S. airstrike in Khost Province in eastern Afghanistan killed eight children and two women. That attack ignited outrage among the population in neighbouring villages. The attack forced the puppet government to acknowledge U.S. crimes of terrorising the entire population were premeditated and “have to stop”. However, U.S.-led NATO’s response to “president” Hamid Karzai’s “warning” has been to increase the airstrikes to 12 per a day. On August 01, 2011, the German Press Agency (DPA) reported that U.S. drones fired missiles at a vehicle in the Barmal area in South Waziristan, Afghanistan, along the Pakistani border killing at least four civilians and injuring scores others. The identities of those killed are still unknown. In Afghanistan, “U.S. drones, attack planes and gunships have killed innocent Afghan civilians in homes and wedding parties. They have killed civilians trying to flee dangerous areas, men collecting scrap metal for sale, and boys gathering firewood for their families. In Nangarhar province in 2008, a U.S. plane bombed a bridal procession three times, killing the bride and 46 other people. Hajj Khan, an elderly man who survived, had been holding his grandson’s hand as they walked toward the groom’s village. According to a British paper, the Guardian, a bomb strike threw Mr. Khan to the ground. When he opened his eyes, he said, ‘I was still holding my grandson’s hand but the rest of him was gone. I looked around and saw pieces of bodies everywhere’”. (Mary Meehan, Baltimoresun.com). These are not mistakes; they are deliberate acts of terrorism aimed at terrorising the population. The ongoing U.S. terror war on Afghanistan has inflicted great suffering on the Afghan people. Refugees International reports (Report) recently that more than 250,000 Afghans have been forced to flee their towns and villages in the last two years. “Since January 1 , more than 91,000 Afghans have fled their villages – compared with 42,000 over the same time period last year … Not only have NATO-led troops and Afghan forces failed to protect Afghans, but U.S.-led airstrikes and night raids by U.S. Special Forces were destroying homes, crops and infrastructure, traumatising civilians and displacing tens of thousands of people. In the north alone, nearly 30,000 individuals have been displaced, a more than seven-fold increase compared to last year”. According to the UN High Commission for Refugees, 3.5 million Afghan refugees have fled their homes because of U.S. war. The overwhelming majority of them took shelter in neighbouring Pakistan. According to a new study by Peter Bergen and Katherine Tiedemann, the Obama Administration has dramatically escalated drone attacks on Pakistan. In his first year in office, Obama authorised at least forty-one drone attacks, killing between 326 and 538 civilians, many of them women and children. There are multiple drones flying over Pakistan scouting for targets, i.e., people to kill. .
Drone attacks are acts of terrorism. Scores of innocent civilians are killed every time a drone fires a missile to assassinate a targeted individual. For example, the assassination of Baitullah Mehsud in August 2009, the alleged leader of the Taliban Resistance in Pakistan, caused the death of between 250 and 300 innocent civilians over a 14-month operation . Assassination is illegal, under both international and national law. In 2010, the C.I.A. carried out 132 drone attacks in Pakistan. ”It was the deadliest year in terms of strikes and resultant fatalities since launching of the drone attack campaign in 2004”, according to Conflict Monitoring Centre, an independent research centre based in Islamabad, Pakistan. At least 938 people have been assassinated in these attacks. There have been 9 drone attacks during the month of May 2011, resulting in at least 62 innocent deaths and 17 injured. . Since June 18, 2004, the start of C.I.A. drone attacks on Pakistan, at least 2,500 innocent civilians have been killed in more than 250 drone attacks. The C.I.A. admits that only 35 of those were resistance fighters. While Pakistan has always protested the attacks, it has recently asked the U.S. to stop drone attacks. On July 11, 2011, multiple strikes by U.S. drones on villages in northwest Pakistan killed at least 45 people. It was the second-largest death toll in a single day since the U.S. drone terror attacks began on Pakistan in 2004. According to Western capitalist media, the criminal attacks came just a day after the Obama Administration cancelled $800 million in military “aid” to Pakistan in order to put pressure on the Pakistani military to participate in U.S. terror. The Bureau of Investigative Journalism (TBIJ) in London analysed 116 drone strikes on Pakistan between August 2010 and June 29, 2011. In its ‘conservative estimate’, TBIJ reveals that in 10 drone strikes at least 45 civilians have been killed, including six named children. At least 15 additional strikes are likely to have killed at least 65 more civilians. While the investigation is a rare glimpse into a big atrocity, it might have underestimated civilian deaths. The atrocity is being replicated in Yemen and Libya, the “Pakistanisation” of Yemen and Libya. On Monday August 01, 2011, the Yemen Post reported that two U.S. drone attacks in the village of Al-Khamila outside Zinjibar, the capital of Abyan Province in southern Yemen, killed 15 people and more than a dozen people were injured in the attacks. It alleges that the attacks were coordinated with the Yemeni dictatorship regime (propped-up by the U.S.) which is facing mounting pressure from the anti-imperialist opposition. “At least 35 U.S drone attacks were reported in Yemen over the last two months”, added the Yemen Post. On June 15, 2011, The National (United Arab Emirates) reported on the escalation of U.S. drone attacks in Yemen. According to The National, an official with the Yemeni Ministry of Defence claims that the U.S. had launched over 15 drone strikes in the country in the first two weeks of June. The newspaper also quoted the deputy governor of Abyan province, Abdullah Luqman, condemning the attacks and stating: “These are the lives of innocent people being killed. At least 130 people have been killed in the last two weeks by U.S. drones”, Mr Luqman said. The use of armed drones by the U.S. to attack defenceless civilians and assassinate individuals is a form of terrorism designed to terrorise the population to achieve political objectives. It is the worst terrorism ever hurled on defenceless population and must be condemned.
. Michael Mandel, “This War is Illegal,” CounterPunch, 09 October 2001.
. Cole, C., Dobbing, M. & Hailwood, A. (2011). Convenient Killing: Armed Drones and the ‘Playstation’ Mentality: The Fellowship of Reconciliation, England.
. Bergen, P. & Tiedemann K. (2010). The year of the Drone. New America Foundation.
. Mayer, J. (2009). The Predator war. The New Yorker, 26 October 2009.
. Conflict Monitoring Centre (2010, January). 2010, The Year of Assassination by Drones. Islamabad, Pakistan. *Ghali Hassan is an independent political analyst living in Australia. The draft of a strategic deal between Washington and Kabul envisions giving the United States the authority to set up permanent military bases in Afghanistan. American and Afghan official are set to discuss the deal at Loya Jirga (Traditional Grand Assembly) with tribal elders and political figures. The recently-released draft shows that the US would be able to establish permanent military bases in Shindand, Shorabak, Kandahar, Bagram, and Khost. According to the agreement, Washington can set up more military bases in other parts of Afghanistan whenever it deems necessary. The military bases, which will be run based on US Army regulations, would be in complete control of the US government. The Afghan airspace will be handed over to American forces after the strategic deal comes into effect. If an agreement is reached on the permanent bases, US troops will remain on Afghan soil beyond 2014, when they are scheduled to transfer their security responsibilities to Afghan forces. The draft also states that all US military and civilian personnel must act according to the American constitution at the time of military operations. Nearly three weeks ago angry young residents of Tel Aviv took to the streets to protest soaring housing prices. The protests have rapidly reached different sectors of the Israeli society. The Israeli media has propagated the event as a glorious democratic manifestation, while Western media rushed to compare it to the people revolutions in neighboring Arab countries. Yet it must be recalled that by far the Tel Aviv protests are taking place within the Zionist consensus. For many Arab citizens, the protests are widely seen as a bourgeois distributional conflict over Zionist colonial spoils. No wonder the protests are directed against high housing prices per se rather than against the founding policies and fundamental causes behind the crisis. We should remember that the real victims of the state’s housing policies are not the middle-class Jewish Israelis longing for the exclusive and luxurious privileges offered by the Tel Aviv center. They are the poor Arab residents of Jaffa who have been pushed out of the city by decades of ethnic gentrification, urban exclusion and alienation. In the meantime, the Israeli media reports the event as if the Arab population, the real victims of the state’s economic policies, does not exist. The real narrative- the dispossession, the disempowerment, the unrelenting daily grind of injustice and discrimination, and the daily violation of human rights and dignity – does not fit into the format of the Israeli media’s agenda. When a year ago Arab residents of Jaffa took to the Ajami neighborhood to protest the new housing plan designed exclusively for Zionist-Jews, known as Be’emuna Jews-Only housing project, they were dismissed as subversives to the state’s Jewish character. When they later marched to Jerusalem to demonstrate ahead of the High Court hearing over the project, they were widely presented as a bunch of unruly Arabs. Requests and petitions by Ajami residents to stop work on the project have been unanimously dismissed by the Tel Aviv District Court and the High Court of Justice. While the shortage of housing had been threatening Arab residents of Jaffa for decades, the Israel Lands Administration gave itself the right to sell public land to a construction company devoted to pushing Arab residents out of the city. Nothing has been done to stop Bemuna’s attempts to dilute Arab neighborhoods by moving in religious Zionist Jews at the expense of local residents. Nor to address Be’emuna’s repeated racist statements, discriminatory marketing methods and housing policies. The “domino effect” of the project has instead brought more and more racist housing projects to Jaffa. The process of internal occupation of Arab lands is by no means confined to Jaffa. Judaization is expanding all over the country from the Negev region in the South to the Galilee in the North, including the Arab Triangle in the center, and the major mixed cities of Haifa, Acre and Jerusalem. Policies of transfer, dislocation, land expropriation and housing demolition continue uninterrupted. Statics show that over the past few decades, Arab lands in Israel were rapidly diminished from nearly 19.5 million dunams (in 1947) to only 404 thousand dunams (in 2005). At the same time, Jewish settlements inside Israel have grown from 317 to 907, and they now constitute 96 percent of the country territory. Moreover, we have not seen a single protest against the wave of fascist and racist laws directed against the Arab population, starting from the Nakba law through the loyalty law, and multiple bills regulating admission to “Jews-only” communities. Protests by Arab residents were rather rooted out by state violence and widely condemned by the Israeli society. Only when the state’s economic policies began to threaten the narrow interests of the White Ashkenazi society did they draw attention and media coverage. It can be argued that bourgeois Israeli Jews are now paying the prize that Arabs in Israel have been paying for decades. But we should remember that soaring housing prices in Tel Aviv are themselves the outcome of the racist policies that were originally designed to prevent Arabs and other poor Jewish communities from approaching the city center. We should also remember that those middle-class Israeli yuppies that came to live in Jaffa for an “oriental” experience are no less responsible for turning Jaffa into a fashionable neighborhood and making prices unaffordable for the local Arab residents. The dirty secret of the Tel Aviv protests is that the bulk of those middle-class Ashkenazi protestors are moved by a racist hysteria. They are simply afraid of being moved to the city peripheries and the far less fashionable parts of the country. For when they complain that they only feel at home in Tel Aviv, they explicitly express a racist desire to stay away from the development towns and neighborhoods populated by Arabs, poor Mizrahi and Ethiopian Jews. This should not be taken as an invitation for a common struggle between Arabs and poor Mizrahi, Ethiopian and Russian Jews. Nor should it let us forget that the struggle of Arab Palestinians with the state cannot be simply reduced from a struggle over land and existence to class and civil struggles. Indeed, nothing is more ironic than to see Arabs protesting against high housing prices in Tel Aviv as if they were allowed to live in Tel Aviv at all. The struggle of Palestinians in Israel cannot be separate from politics colonization, ethnic discrimination and racism. That is to say that Palestinians in Israel have not to join the protests so much as to make sure they formulate their own struggle away from the Tel Aviv bourgeois protests that are now taking on racist Zionist formulations and being joined by racist settler movements like Yesha Council and Im Tirzu. We are running out of time. Even as we speak, the circle of internal colonization is closing up. Palestinians in Israel should be fully aware that their struggle cannot be formulated within the Zionist framework, but only outside of it. – Seraj Assi is a PhD Student in Arabic and Islamic Studies at Georgetown University, Washington DC. It seems the Israelis cannot rescue themselves from their own doomed fate, because they are blindly hijacked by their own destructive culture. As myself and a few others have been predicting for a decade or more, Israeli society is about to implode. It is really just a question of time.